Jose C. Geromel (The University of Campinas, Brazil, TC-SU member) gave a plenary talk at ROCOND/LPVS2018 held at Florianopolis, Brazil, September 3-5, 2018. Yoshio Ebihara (Kyoto University, Japan, TC-SU chair) gave a plenary lecture at The 6th International Conference on Positive Systems (POSTA2018) held at Hangzhou, China, August 25-27, 2018. Graziano Chesi (The University of Hong Kong, Hong Kong SAR, TC-SU member) served as a general co-chair of The 23rd International Symposium on Mathematical Theory of Networks and Systems (MTNS2018) held in the Hong Kong University of Science and Technology, Hong Kong, July 16-20, 2018. Yoshio Ebihara (Kyoto University, Japan TC-SU chair) organized a session entitled "Analysis and Synthesis of Positive Systems" at The 23rd International Symposium on Mathematical Theory of Networks and Systems (MTNS2018) held in the Hong Kong University of Science and Technology, Hong Kong, July 16-20, 2018. "Recent Advances in Adaptive, Nonlinear and Networked Control. A Workshop on Occasion of Alexander Fradkov’s 70th birthday" in ECC2018 held at Limassol, Cyprus, June 12-15, 2018. Carsten Scherer (The University of Stuttgart, Germany, TC-SU member) gave a talk entitled “Modern Gain-Scheduling Control by Convex Optimization” at IAAC Workshop held at Herzliya, Israel, May 21, 2018. Abhishek Halder (University of California, Santa Cruz, USA, TC-SU member) was involved in the organization of CITRIS and the Banatao Institute, People and Robots Initiative (CPAR) Control Theory and Automation Symposium held at UC Santa Cruz, April 27, 2018. Carsten Scherer (The University of Stuttgart, Germany, TC-SU member) was involbed in the organization of The 2nd International Conference on Simulation Technology (SimTech 2018) held at Stuttgart, Germany, March 26-28. 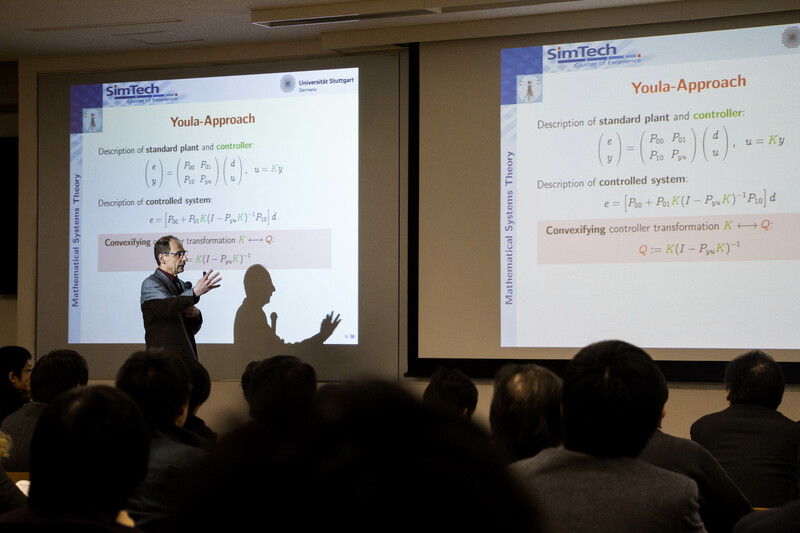 Carsten Scherer (The University of Stuttgart, Germany, TC-SU member) gave a plenary talk at MSCS/ISCS2018 held at Tokyo, Japan, March 10, 2018 (picture). ISCS2018 was held with technical co-sponsorship from IEEE CSS. Graziano Chesi (The University of Hong Kong, Hong Kong, TC-SU member) gave an invited talk at MSCS/ISCS2018 held at Tokyo, Japan, March 10, 2018. 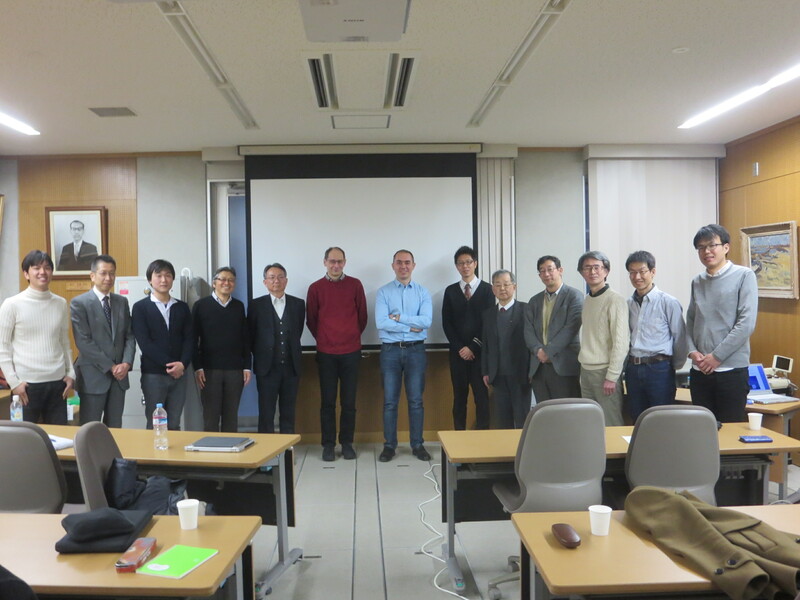 This workshop was held with technical co-sponsorship from IEEE CSS Kansai Chapter chaired by Yoshito Ohta (Kyoto University, Japan, TC-SU member). Richard D. Braatz (MIT, USA, TC-SU member) became President of the American Automatic Control Council.